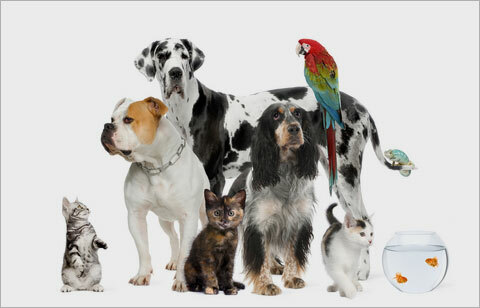 Dogs, cats, birds, rabbits, ferrets, reptiles... Each one of them has different needs. To be able to choose properly and avoid abandoning your pet later on, ask your veterinary surgeon what animal is better adapted to your needs. The type of housing, the space that will be available for your pet, the time you will be able to spend with it, whether you have children, if you travel: all of these lifestyle questions should be taken into consideration. Your pet is not a toy: mistreatment and neglect must be avoided. Before buying a pet, ask your veterinary surgeon about adopting a young or abandoned animal, as he will have information about adoption procedures. Once you have acquired a pet, your veterinary surgeon will explain the health plan you should follow: vaccinations, internal and external parasite control as well as the handling and care it will need, including its diet. Your vet will recommend the most appropriate diet for your pet’s species, race, age, and health status. It is also recommended that you gather information about the diseases that your pet may acquire, since this will depend on the species, the race and the area where you live. Your veterinary surgeon knows the most frequent illnesses in your area and will propose a proper prevention plan. As to reproductive questions, your pet’s veterinary surgeon will provide you with a birth control plan in accordance with your needs, so you can avoid having to euthanize a whole litter or having to abandon unwanted pups or kittens. Fresh horchata (a traditional drink usually made from ground tigernuts) should be kept refrigerated at a maximum temperature of two degrees Celsius.